A young American girl of the 1850s is given in marriage to a Canadian trapper and she must learn to cope with her new life. She soon learns to do far more than simply cope... she thrives. Mother took Sally's hand and helped her to her feet. The three of them, Father, Mother and pale, shaking Sally walked around the wagon to find a surprising number of people who had gathered for the wedding that everyone, except Sally, seemed to know about. All were dressed in trail clothes, ready to walk the Oregon Trail as soon as the 'I do's' were done. Donner was standing at the front of the small crowd, facing them. The trapper was facing the wagon master. All they lacked was a bride. 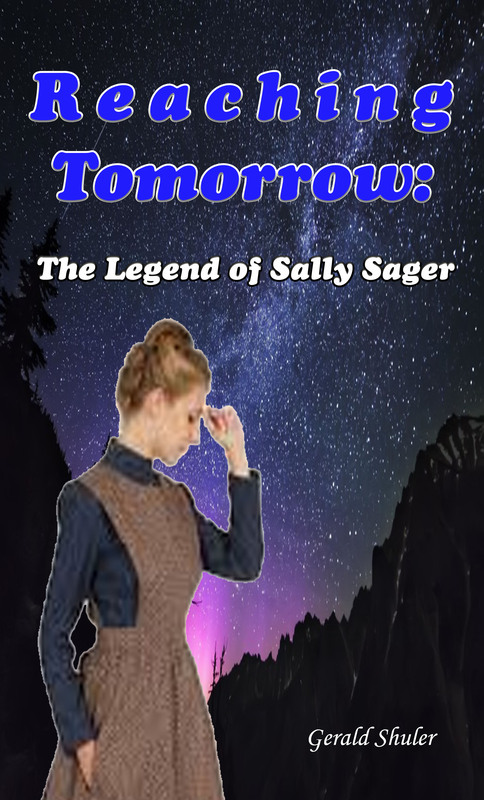 Almost to Sally's shock, Mother led her all the way to the bearded man and left Sarah standing by his side. Donner wasted neither time nor words. “We're here to marry the two of you. I have that right as “captain” of this wagon train.” he said, with no emotion. “Walter, you okay gettin' hitched?” Sally nearly gasped at the abruptness of Donner's approach to her 'wedding' ceremony. “Sally, you okay with this?” Sally knew the words that were supposed to come out of her mouth but she couldn't bring herself to utter that lie. No words came from Sally so Furface spoke for her. Sally saw her 'husband's' bushy beard moving closer to her and she realized he was about to kiss his new bride. She held a finger to his face and, with as much poison as she could put in her voice, whispered “Don't expect that to be a part of your deal. It will never happen... not until the stars fall from the sky.” Sally had put him in his place but she was curious about the twinkle of a smile that suddenly lit his eyes.